Think of the last time you contacted the customer support department of any company. Was the experience smooth and effortless? Did the person you interacted with resolve your issue with surprising courtesy and speed? Did they know who you were and deliver a personalized experience? Or did you have to email three times, call once, threaten to tweet, and ask to escalate your case to a manager before your issue was resolved? We’d all prefer the former experience, but the latter is what we have come to expect as a feature of doing business today. It’s the endurance test we have to pass in order to switch cable providers, address a billing issue, change an address, or engage in a myriad of other routine transactions with the companies we do business with. Instead of being helpfully assisted at each turn, we’re often taken for a ride and forced to grab the wheel to get the vehicle back on track. Fortunately, new customer engagement technology platforms are significantly expanding the power of contact centers and may soon change, for the better, what customers come to expect when they engage with customer service. 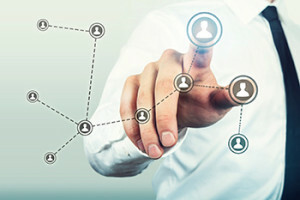 In today’s multichannel era, customers may choose to communicate with your company not just in retail stores or over the telephone, but also through websites, live chats, emails, text messages, interactive mobile apps, video kiosks, tweets, Facebook posts, Instagram and YouTube comments, and whatever other new communication apps the world’s tech startups might conjure up next. With these new powers of engagement on the consumer side of the CX equation come new responsibilities on the corporate side—and no shortage of opportunities for dysfunction. Many of the CX problems confronting companies today arise from the use of antiquated technology platforms and software applications that simply haven’t kept up with the times, or were designed to maximize business efficiency without the customer in mind. Given that customers can now easily engage and connect across multiple channels at once—often all through a single device—it’s only logical that the companies they’re engaging with should strive to be just as agile and multimodal in response. But if support agents are going to keep up with the smartphones of 2015 and beyond, they need the right technology. They need an omnichannel customer engagement system. A new breed of customer engagement platforms is capable of providing sales, marketing, and customer service staff with an “omnichannel” customer journey dashboard and journey monitoring tools. These new technologies allow them to see, on just one computer screen or device, the entire history and trajectory of a customer’s interactions with a company—even as new interactions are happening, across multiple channels and in real time. Plus, software that utilizes predictive analytics can even anticipate and suggest possible next steps in order to best assist the customer. Taken together, these integrated tools are granting agents an unprecedented degree of context for each customer who contacts them, sparing customers the pain of having to explain, for the tenth time, who they are and what they’re inquiring about with every call, email, or other interaction along their customer journey. In the not-too-distant past, customer experience was all about “touchpoints” and “moments of truth”—the isolated ways in which a customer would engage with your brand, perhaps one day by ordering a sweater from your print catalog, and another day by calling to return it for another size. The tidal wave onslaught that is omnichannel CX has recontextualized all of that, and delivering a great customer experience across all touchpoints is now a matter of sink or swim. At a time when a single customer engagement may encompass a response to a marketing ad, a visit to your website, a question tweeted to your social media team, and a phone call to your sales department, the old strategies of focusing on siloed customer interactions are becoming ineffective ways to communicate with customers. Moreover, they’re impossible for a company to manage. Today all interactions increasingly need to be seen as equally important and interconnected steps on an overall customer journey, happening over many different channels, along which any individual customer’s engagements will naturally ebb and flow, and become part of the customer record. And when agents have that complete customer context visible on their screens, they can see how to streamline and personalize the customer experience. How to best orchestrate the next step of a customer journey isn’t such a mystery anymore. Naturally, the benefits of having an omnichannel overview of each of your customers extends far beyond the contact center. The depth of knowledge gleaned from software that preserves a complete record of the customer journey (and even suggests next steps) can benefit your retail store employees, your sales department, your marketing team, your website’s FAQ list writers, and even the IT crew that’s programming your incoming self-service IVR application. The ultimate result of all of this integration—when it’s done right—is an omnichannel customer experience that meets both the customer’s expectation and the company’s business objectives. And it isn’t hard to draw the connection between a streamlined CX and a happy C-suite, who can witness both ROI and revenue metrics trending in the right direction every day through fewer complaints, fewer product returns, improved sales, and improved efficiency throughout their organization. Once you’ve entered the omnichannel world and are looking at end-to-end customer journeys rather than individual customer interactions, you may come to realize that your agents are not only keeping up with your customers but actually outpacing them, anticipating their next best step. And in a marketplace where CX is a chief differentiator, that means outpacing your competition too.